Taekwondo is a popular martial art practiced all over the world for its many health benefits, self-defense applications, and sporting opportunities. "Tae" represents the hand, "Kwon" represents the foot, and "Do" represents a committed manner of life. 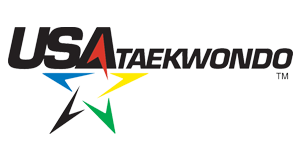 Despite its rapid growth and popularity, taekwondo remains best summarized by the 5 Tenets, which have guided practitioners for generations, and provide a foundation for the lessons: Courtesy, Integrity, Self-Control, Perseverance, and Indomitable Spirit. It is the mission of Vancouver Taekwondo Academy to maintain these traditions, so students can pursue a personal journey of self-discovery and accomplishment. Vancouver Taekwondo Academy (VTA) classes are taught by the owner and chief instructor, William Scott Browning. Mr. Browning has over 30 years of experience with taekwondo, and decades of success as a competitor, both in the Americas and Europe! In 1988, Mr. Browning took his first opportunity to teach in the Vancouver Public School District intramural program. Since then, he has been assisting students of all ages and skill levels to transcend their boundaries, and redefine their potential. What makes vancouver taekwondo academy different? Classes at all skill levels are taught by the owner and chief instructor, William Scott Browning, in a 2,000 square foot facility. We have flexible class schedules, with both large and energetic open classes as well as small and intimate skill-level-centric classes. Family atmosphere! Many of our students have been involved in the VTA programs for over ten years. Call us today to schedule your first class, on us! This exciting opportunity is available to new students only, with no cost to you and no obligation to join. We thank you for your consideration!